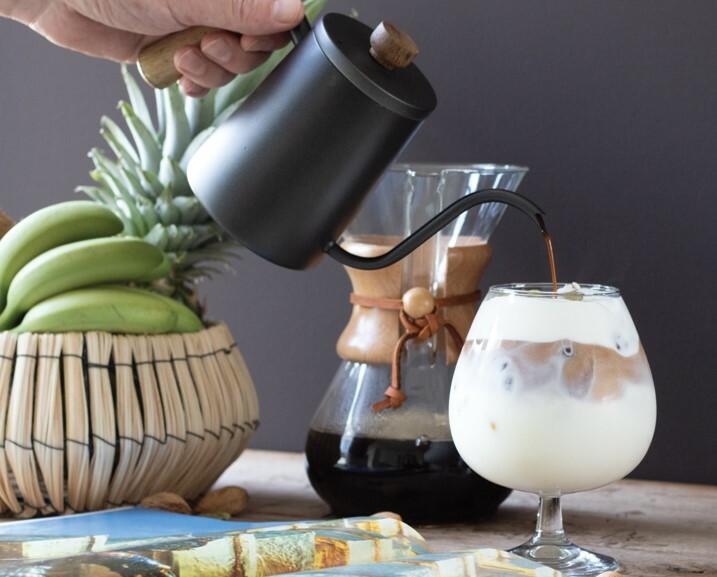 Especially on hot days a Thai iced coffee is delicious to drink! We have selected a recipe that you can easily make yourself. Take Pelican Rouge ground coffee, add some cardamom to the coffee and brew the coffee. When the coffee is brewed, add the sugar and almond flavouring, mix well and let it cool to lukewarm. Fill the four glasses with ice and fill 2/3 full with creamy, foamed milk into each glass. Add the coffee slowly into the glass and achieve a beautiful layered effect. Enjoy your Thai iced coffee!